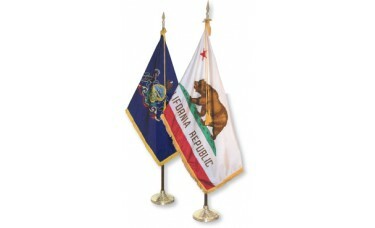 Build your own flag set with our quality flags, fringe, poles, stands, and tassel that will last! 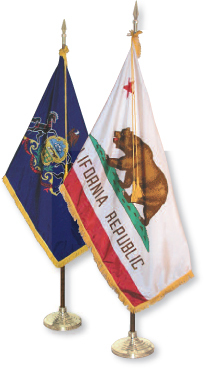 One 3' x 5' durable nylon state flag. Your choice of with or without a 9 ft. cord of tassel.